Asus is a Taiwanese electronics manufacturer currently best known for helping to launch the netbook market a few years ago with its Eee PC brand. 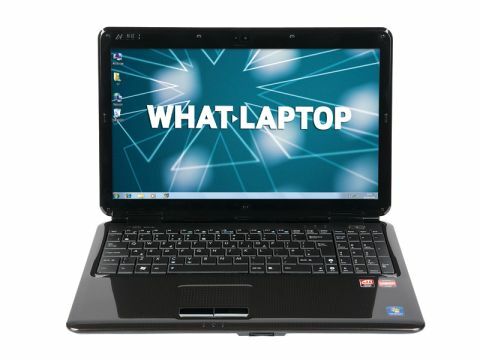 It also makes full-sized laptops and the X5DAB-SX028V is a powerful machine that will especially suit those after multimedia functionality on a budget. This is because it boasts a powerful graphics card, and also an impressive 512MB of video memory solely for the use of the GPU, ensuring it, and therefore your media, runs very smoothly. As a result, if you want to edit photos, movies, or even enjoy some light gaming, this machine is a very good choice. Everyday performance is also good, although it falls just short of the Sony's VAIO VGN-NW20EF/P. The dual-core AMD processor does a good job and you will have no problem sending emails, surfing the internet and performing basic office tasks such as word processing and creating spreadsheets. As with all the laptops here, however, very resource-intensive applications such as Adobe Photoshop will cause performance to drop somewhat. Unfortunately, this machine features a 250GB hard drive, and the Mesh Edge15 Inspire RS offers better value for money in this context. This should be a particular consideration if you have large music, video or photo libraries you intend to carry around with you. The 15.6-inch screen offers good quality images, and the 1366 x 768-pixel resolution allows for a detailed picture. A shiny Super-TFT screen coating is in place. Unfortunately, this creates distracting reflections in bright light and can quickly become irritating. As with the Sony, a custom-designed chassis has been employed. We think it's very smart and also not too shiny, meaning that it doesn't pick up dust, dirt and smears too quickly. It's also very tough, meaning good durability on the road. A major problem with this laptop is its terrible battery life. We expect a minimum of 180 minutes power from a laptop, and the Asus falls significantly short with 107 minutes, meaning you'll have to carry the charger with you on all but the shortest of journeys. Connectivity is great though and the latest wireless and wired technology is in place, to ensure a fast connection to networks in hotspots, for example. If you are after an affordable laptop with entry-level multimedia functionality, then the X5DAB-SX028V is the machine for you. However, the battery life is truly lamentable and everyday performance is beaten by the Sony, meaning if your needs are a little broader we would probably opt for Sony's VAIO instead.